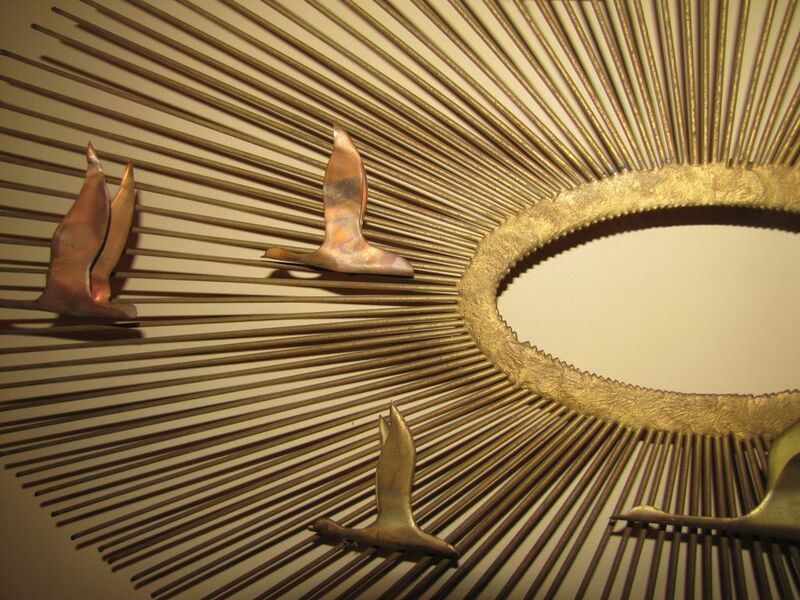 This is a brass and copper sculpture of a sunburst with geese in flight by metal artist Curtis Jere, from the 1960's - 1970's era. 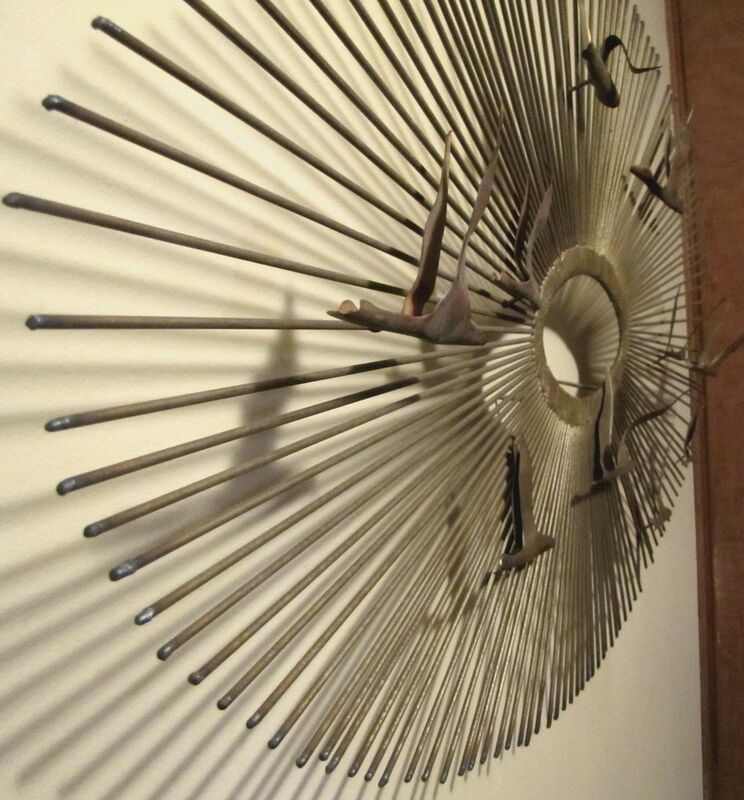 It is large measuring 38" across by 20" in height and stands out from the wall 2". 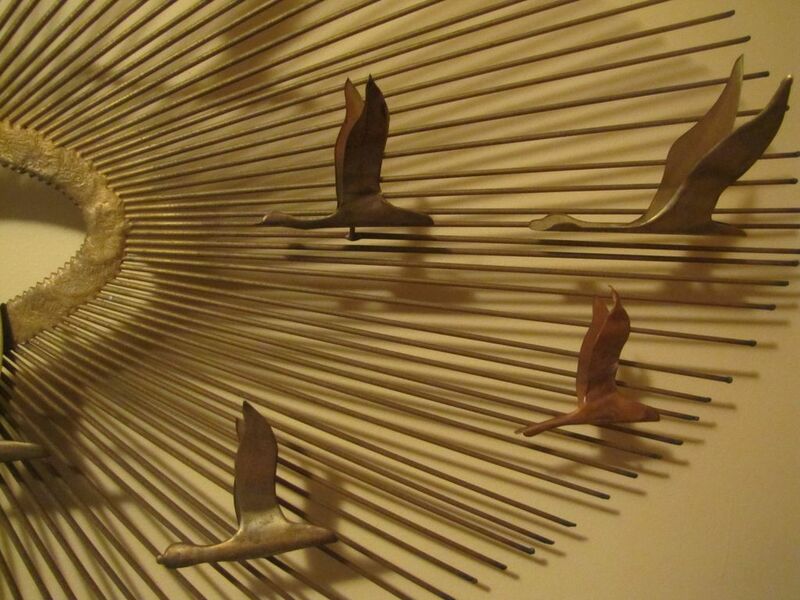 There are 10 geese in various positions of flight made in both copper and brass. 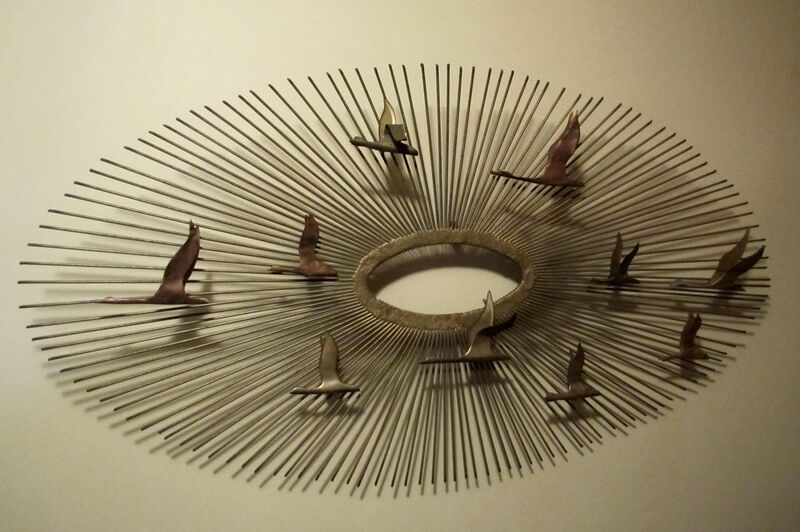 The ends of the spokes or sunburst have been burnished and there is a hanger on the back for display on a wall. 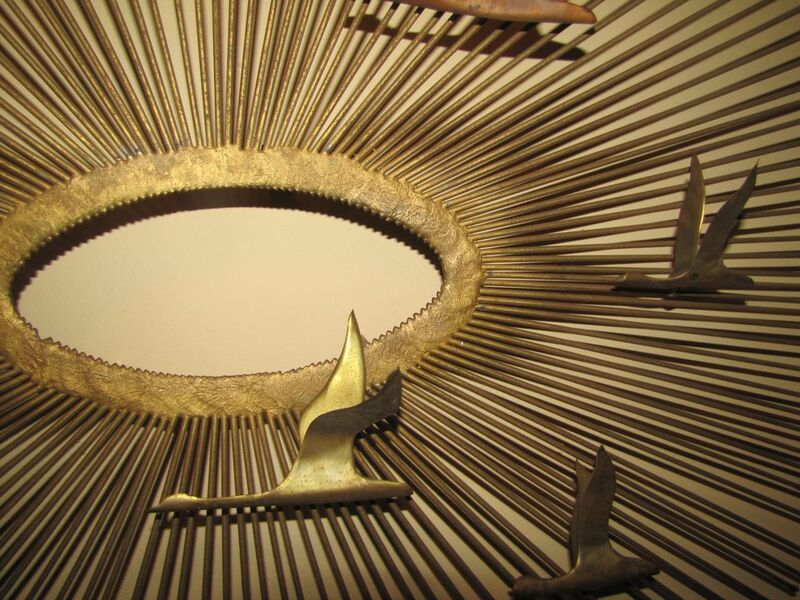 There is no signature on this piece, as sometimes is the case with Jere sculptures, however, I am certain it is a Jere piece because of my experience in both owning and selling Jere art sculptures, along with the construction and the weight of this sculpture. 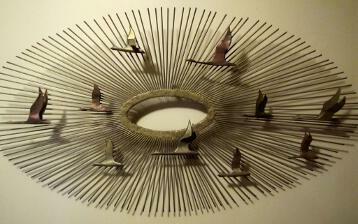 I have been seen metal sculptures which are very flimsy and light weight and definitely not done by C. Jere. The sculpture is in good condition, but could be cleaned to give it a shiny appearance, which I will leave up to the buyer. 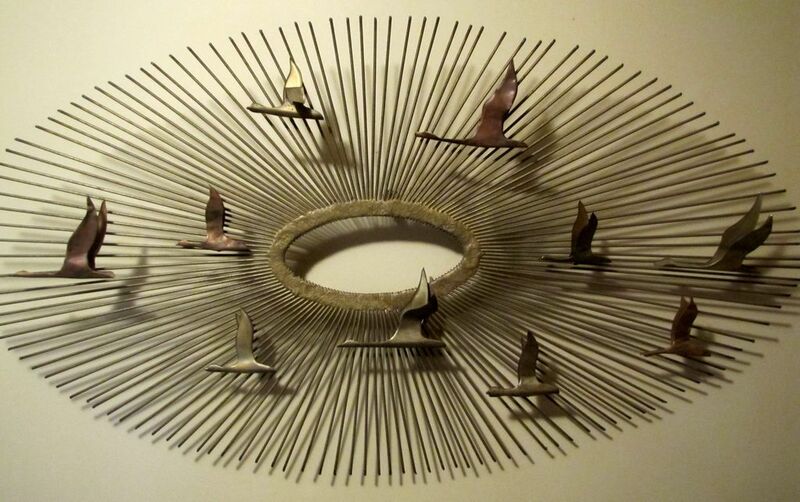 A great piece for both the bird enthusiast and the modern decor.